Still using my space pen being haven on as gift from my parents after going to the Kenady Space centre 25 years ago and still writing. Great product excellent service with fast delivery, reasonable price. Have used these refills for years and are totally reliable. Excellent delivery time . Very good results with the product. The Pen Company is great for customer service, cheapest I could find for Space Pen & quick delivery. All good. Prompt delivery, brilliant product, at a price difficult to find any where else. We get space pen refills & its as exciting as any shopping. We put the product in PVC cutting machines that draw at one metre per second. They are the best pen for this job.The Pen Co is worth dealing with and has never been anything but. Quick, reliable & pleasant to deal with. 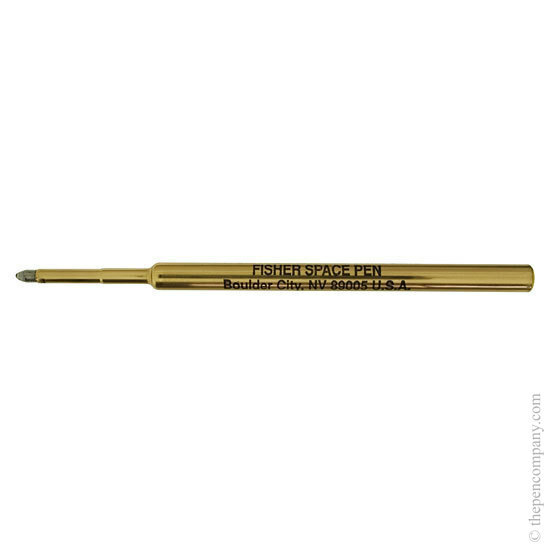 Genuine space pen refill, as expected and delivered quickly. Very pleased. I ordered my space pen refills at 2:15pm and they arrived the next day. Rare service. Thank you. I misplaced my pen with the purple refil and couldn't writ in my pink notebook with any other colour, so I bought a replacement. The wide range of colours available and the excellent writing quality make it fun to write. It's a pity my caligraphy lets down the pen at times. This silver refil was bought on the spur of the moment when I was putting together an order. It looks great on dark blue paper. My husband now has the full set of colours. My husband collects space pens and when he saw that I had a turquoise refil in a pen, he wanted one too. Fast, Efficient - Unbeatable - have used this Co many times!! Excellent service, delivery, assistance and product...! I have put these refills in my Parkers and I'm really satisfied. Strongly suggested! Would recommend this company. The service was excellent and the refills were very reasonably priced compared to others I found online. These have to be the best pens, for far less than you pay for some of the luxury-branded ones. I ordered some refills online in the afternoon, and they arrived the next morning. Brilliant service. Once again the refills are excellent in my Fisher space and bullet pens. Refills themselves are pricey, but quality is excellent. Delivery was fast, arrived next day. Although green is very dark it almost looks black. The green Fisher refill tends to be a more olive green rather than a brighter green that is more commonly used by other manufacturers. Received item the day after order. A bit expensive, but worth it. I use these in Space Pens and as Parker style refils with the adapter. A bit pricy, but the quality shows. My new Louis Codan pen is amazing with the broad Fisher refill.